“Everything old is new again,” is how the song puts it. It’s not an approach typically associated with military procurement. That’s more a case of everything new is new, period. And much more expensive than what was there before. 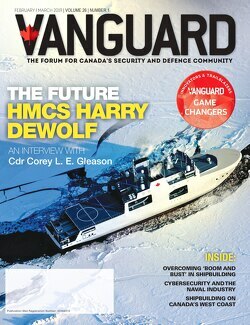 But the idea behind that song – or something very like it – seems to have been the guiding spirit behind the Department of National Defence’s October 25 announcement of a $122 million contract for General Dynamics Canada to upgrade the Canadian Armed Forces’ existing fleet of Combat Net Radios. Partnering with Rockwell Collins Canada and their own subsidiary, SigmaPoint, General Dynamics will be upgrading the more than 11,000 radios that it originally supplied the forces back in the early ’90s, extending their usefulness by another ten years. Lieutenant-Colonel Fred Whichelo, with the Canadian Army’s Directorate of Land Requirements, says the upgrades will improve the performance of the radios in two key areas: cryptography and data compatibility. The key algorithms that protect information sent over the radios were nearing the end of their effective lives, he explained. “We need to make sure we stay in step with the cryptographic modernization of our key allies” in order to maintain interoperability on operations. The Enhanced Combat Net Radios (or CNRE’s as their known) will be able to record their location and transmit it constantly over the air. Such signals can be picked up and used to chart the host vehicle’s location on, for example, a battlefield management system (all the combat radios are vehicle mounted). The information will be up-to-the minute, giving a commander almost real-time information. This is something, Whichelo says, the combat arms have long wanted. The CNRE will also be capable of transmitting text messages, although Whichelo characterizes the data stream as “quite thin” – it will only be capable of very brief messages. General Dynamics will begin providing the army with the enhanced radios in May 2015, with the final delivery slated for 2017. GDC will be installing new hardware and firmware (essentially propriety company-created software that runs on small embedded processors in the circuit cards), notably a new communications security board to replace one originally manufactured by the company. This will give the sets enhanced cryptographic protection. Rockwell Collins is writing some of the firmware, and Cornwall’s SigmaPoint is building circuit boards for use in the enhanced radios. Within a few years, however, “we have a battlefield management system that is going to be introduced,” he said. Designed to be displayed on the terminals using the “blue position awareness” data transmitted by the radios, this should give those in the field a much better idea of their place in the battle space.